'Nore Cottage', Ballinagoth, Inistioge, Kilkenny. Auction will take place 29th July at 3pm. 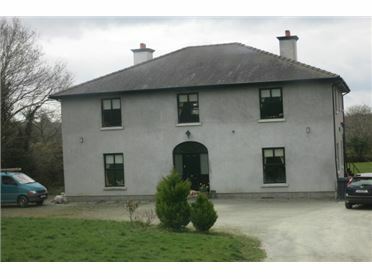 A charming 3 bedroom residence on the River Nore. A rare opportunity to acquire this charming 2 storey cottage in one of the most idyllic locations in County Kilkenny. 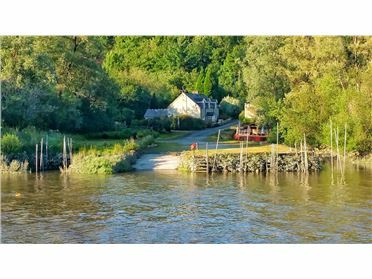 ‘Nore Cottage’ is just ten minutes from the picturesque village of Inistioge nestled into mature south facing gardens less than 100 metres from Ballinagoth Quay which has direct access to the River Nore. ‘ A true haven for anglers and boat lovers’. Auction will take place on the 29th of July at 3pm in the Brandon House Hotel, New Ross, Co. Wexford. First floor apartment with own door access. 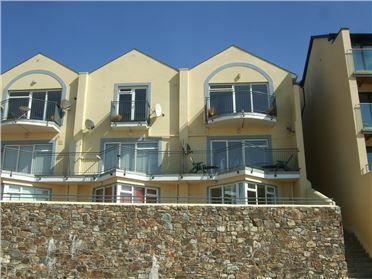 Two balconies overlooking the beach. South Westerly aspect, superb condition throughout with open plan living area. 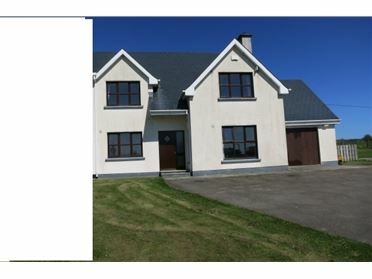 SPACIOUS 4/5 BEDROOM RESIDENCE WITH GARAGE STUNNING SEA VIEWS This 4/5 bedroom property occupies an unrivalled position in this small gated development located on The Hook Peninsula. 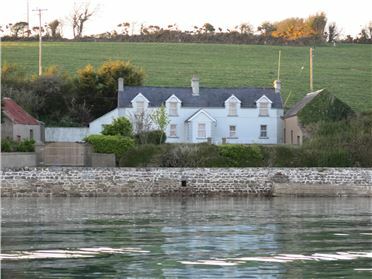 The house which has been constructed to an extremely high standard offers bright and airy living accommodation with superb sea views less than a 10 minute drive from Fethard-On-Sea, 5 minutes from Hook Head and convenient to numerous sandy beaches. 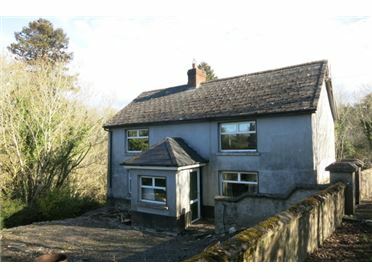 This property located just off the main New Ross / Kilkenny Road within minutes of the picturesque Village of Inistioge offers a great refurbishment opportunity. The property itself sits in a beautiful sylvan setting, beside the well-known Clodiagh Church. The 4.5 Acres comprises a paddock and woodland. Viewing is highly recommended. 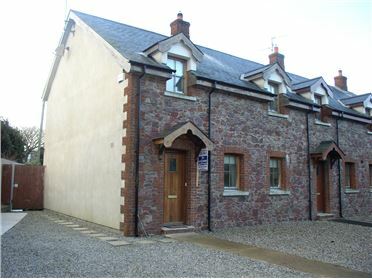 CHARMING TWO STOREY 3 BEDROOM END OF TERRACE RESIDENCE This property which is situated in the Village of Duncannon adjacent to all amenities and minutes walk from beach offer spacious living accommodation, which is finished to a high standard, ideal for permanent use or holiday home. 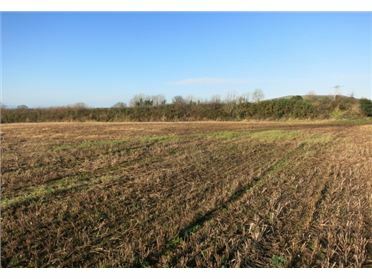 5 ACRE (2.08 ha) HOLDING FOR SALE BY PUBLIC AUCTION On Wednesday 11th February 2015 at 3 p.m. At The Brandon House Hotel, New Ross. This property which will be offered in 2 divisions as per attached land Registry Map. TITLE:- Registered in Folio 9378 Co. Wexford. Solicitors:- Declan Joyce, Kelly Colfer Son & Poyntz, Delare Hse, South Street, New Ross. 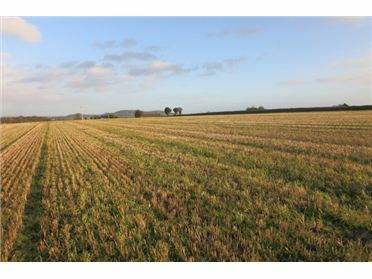 C.31 ACRE (12.5 Ha) NON-RESIDENTIAL HOLDING TOP QUALITY AGRICULTURAL LAND FOR SALE BY PUBLIC AUCTION On Friday 30th January 2015 at 3 p.m. At The Brandon House Hotel, New Ross. 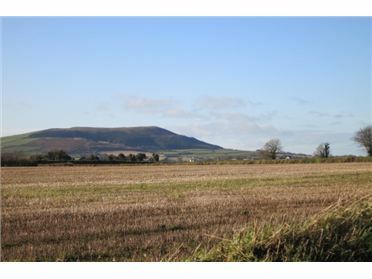 C.31.5 ACRE (12.7 Ha) NON-RESIDENTIAL HOLDING TOP QUALITY AGRICULTURAL LAND FOR SALE BY PUBLIC AUCTION On Friday 6th February 2015 at 3 p.m. At The Brandon House Hotel, New Ross.